Lambda Literary Foundation - LGBT book reviews, author interviews, opinion and news. Includes the annual Lambda Literary Awards, blog, tweets. The Lesbrary - a lesbian book blog. Casey the Canadian Lesbrarian - another blog. UK lesbian fiction - a blog with info about new titles, authors, awards, etc. Strange Sisters - (an archive) of lesbian paperback artwork from the 50s and 60s. LILAC has the book Strange sisters : the art of lesbian pulp fiction 1949-1969 by Jayne Zimet, shelved at 700 in the nonfiction section. lesbian history by British gay historian Rictor Norton; he has found some gems. See our Full text page for links to some of them. Patricia Highsmith was the subject for LILAC's book group in February 2018. There is lots of great Highsmith material on You Tube. This includes a recording of the BBC Desert Island Discs interview from 1979, comments by lesbian authors Alison Bechdel and Terry Castle and a discussion with her biographer Joan Schenkar. There are also lots of recordings related to the 2015 movie "Carol"
Interview with Renée on the occasion of publication of her memoir These Two Hands ; broadcast on RNZ Saturday Morning programme on 18 Nov 2017; the interviewer was Kim Hill. Naturally LILAC has the book! Black Scottish author Jackie Kay interviewed by Nicola Sturgeon ... and there are a few other videos of her on youtube. Rita Mae Brown talking about her background, getting the women's movement to accept lesbians and writing Rubyfruit Jungle. A 1962 TV interview with Natalie Clifford Barney (1876-1972). Filmed at her home in the Latin Quarter of Paris, she talks about her life and the great writers and personalities she met and entertained in her salon. There is more information about her on wikipedia. 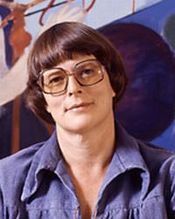 An interview with Jane Rule (1931-2007) in which she talks about her work as a writer, the effects of that work on a larger audience, the film adaptation of 'Desert of the Heart', motherhood (which often appears as a theme in her work), her move from the US to Canada, teaching, art, loneliness, and much more. 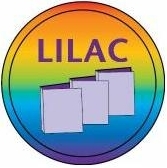 Lesbian Archive and Information Centre (LAIC) - set up in London in 1984, the LAIC is now housed in the Women's Library in Glasgow. It contains the largest and most significant collection about lesbian lives and organisations in the UK. The Women's Bookshop in Auckland; they have a mail-order service.